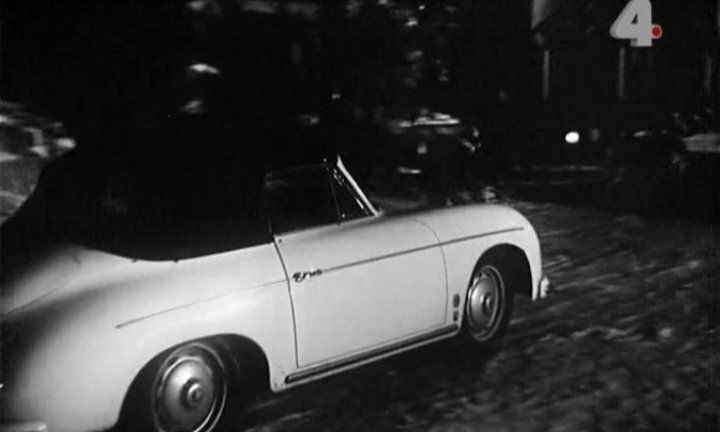 IMCDb.org: 1959 Porsche 356 A Cabriolet in "Die schwarze Kobra, 1963"
Hi DynaMike: side stripes and no square rear lights make it a Drauz Cabrio? Not a Convertible D. The Convertible D has a chrome windshield. This is a Porsche 356 A Cabriolet. speedoo wrote Not a Convertible D. The Convertible D has a chrome windshield.